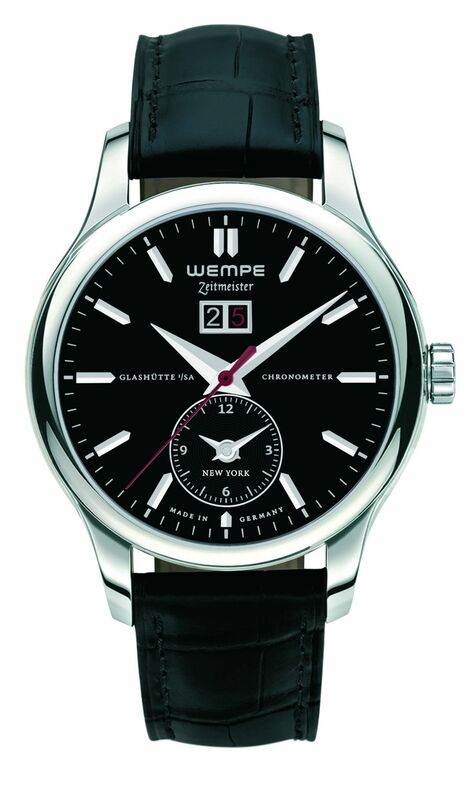 Wempe presents the 5th Avenue Limited Edition Wempe Zeitmeister to commemorate their grand reopening. 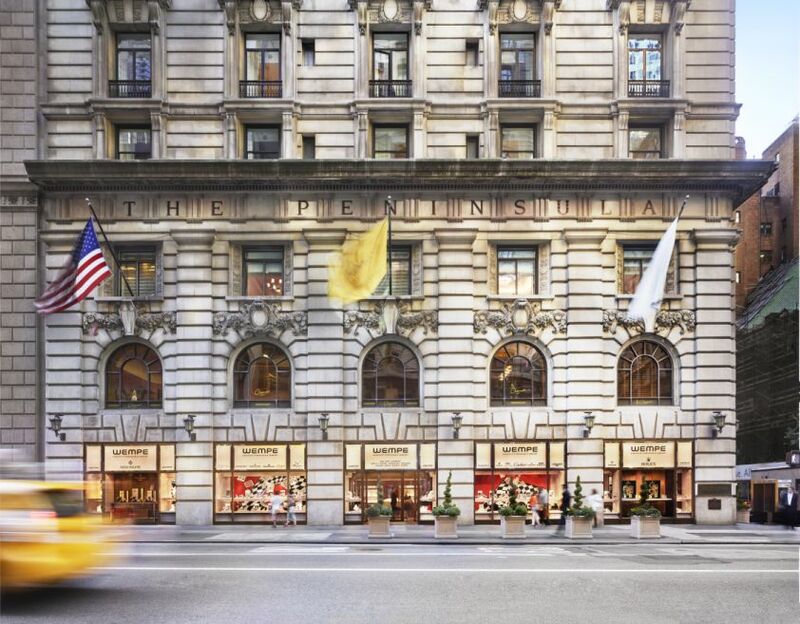 This limited-edition watch will be available exclusively at the New York showroom. The back of the watch case bears an engraving of the Peninsula building. The stainless-steel chronometer is made and certified in the Wempe watchmakers' workshop in Glashütte, Germany. The case, in stainless steel, measures 42mm x 13.6mm. 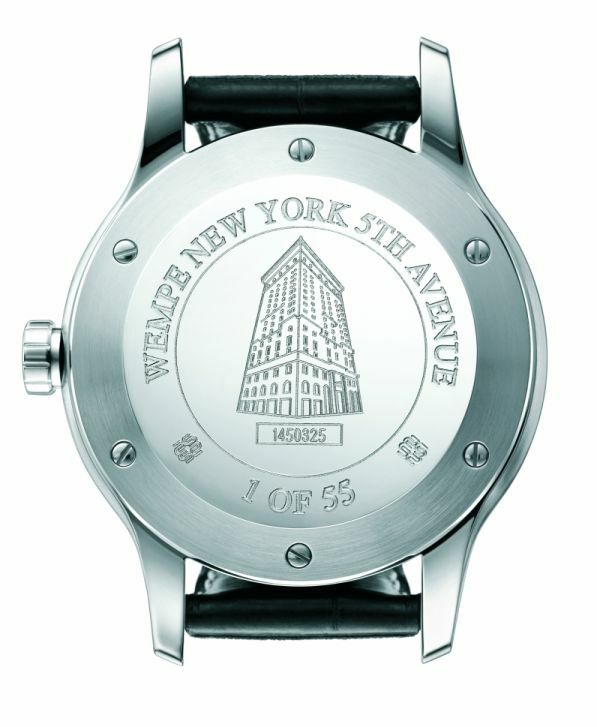 It has an AR-coated sapphire crystal and the caseback feature a high-relief engraving of the Peninsula building. It is water resistant to 50 meters. 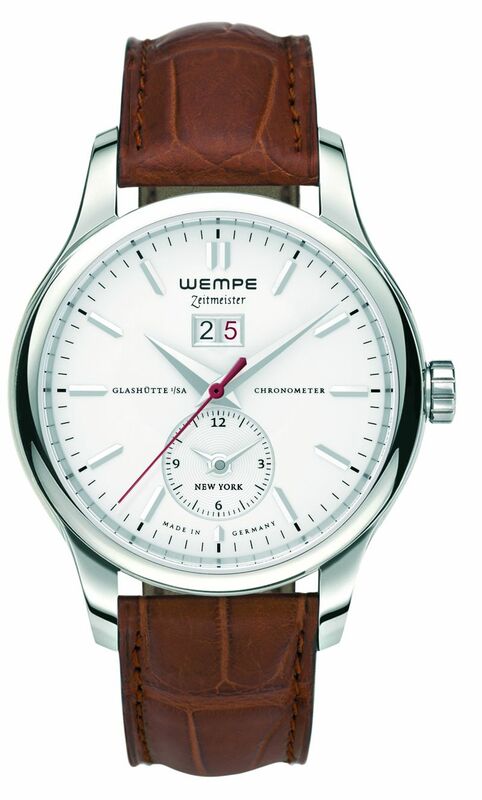 Movement is the Swiss automatic Wempe caliber TT 651.00 (base ETA 2892-A2) with 21 jewels, 28,800 vph and a power reserve of 42 hours. German chronometer officially tested according to the DIN 8319 standard. Functions are: hour, minute, seconds, and large-format date display, second timezone. The dial is silver or black, with steel Dauphine hands. Red seconds hand. It comes on a black full-cut crocodile leather strap with steel folding clasp.